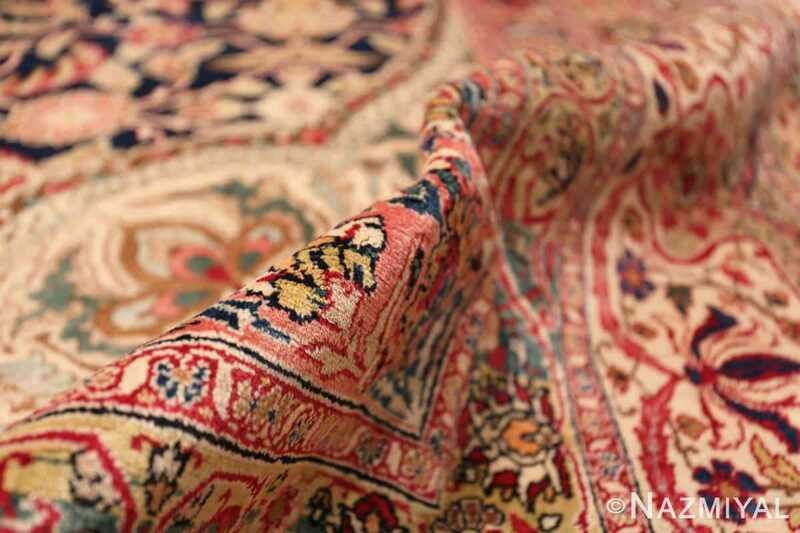 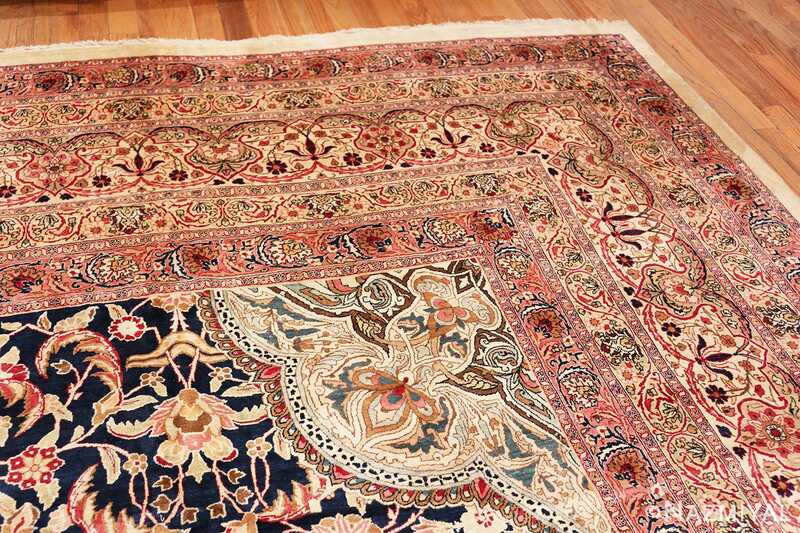 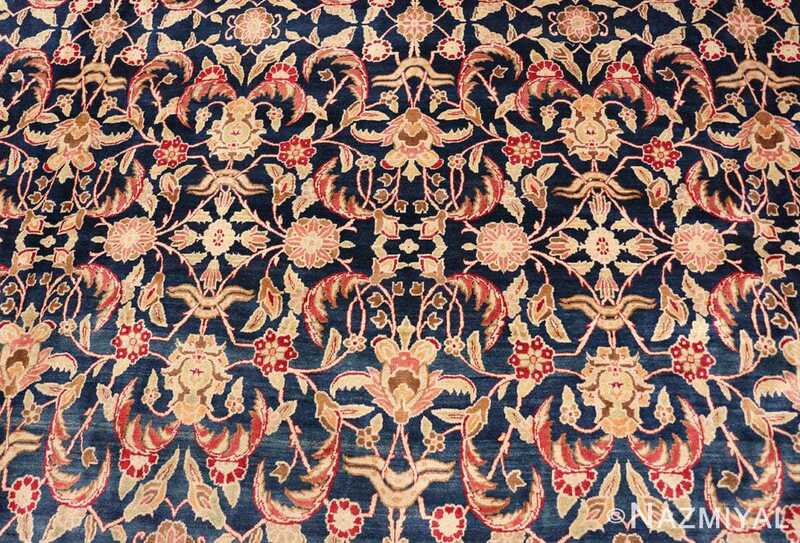 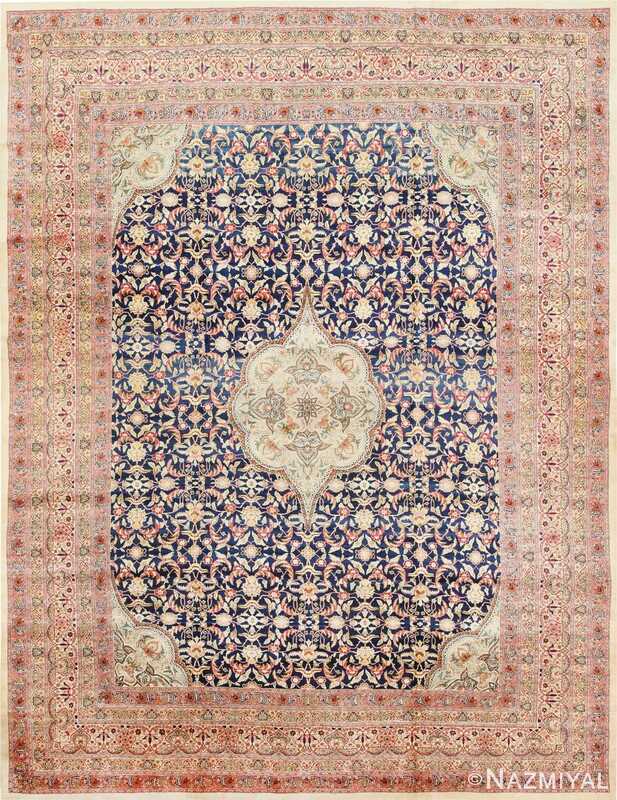 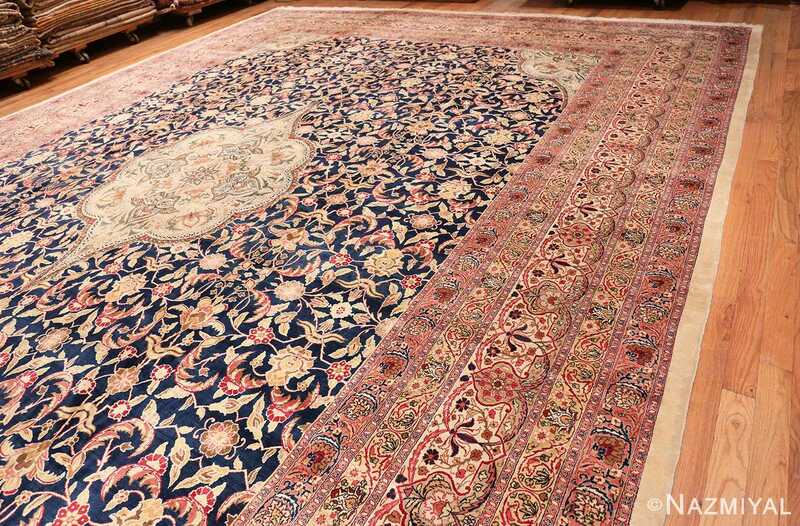 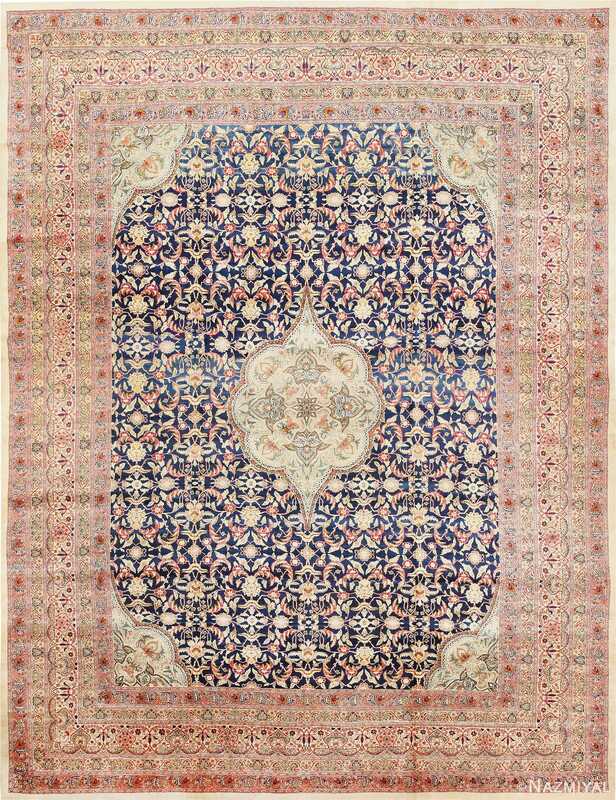 Beautiful and Finely Woven Large Oversized Antique Persian Kerman Rug, Country Of Origin / Rug Type: Persian Rugs, Circa Date: 1890's - A kaleidoscope of color greets the viewer, creating a complicated tapestry of vivacious motion that only the most experienced hands could create. 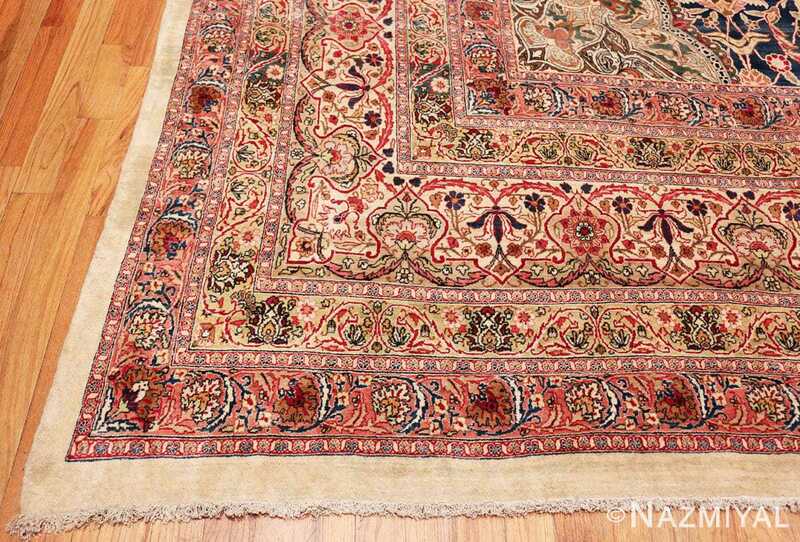 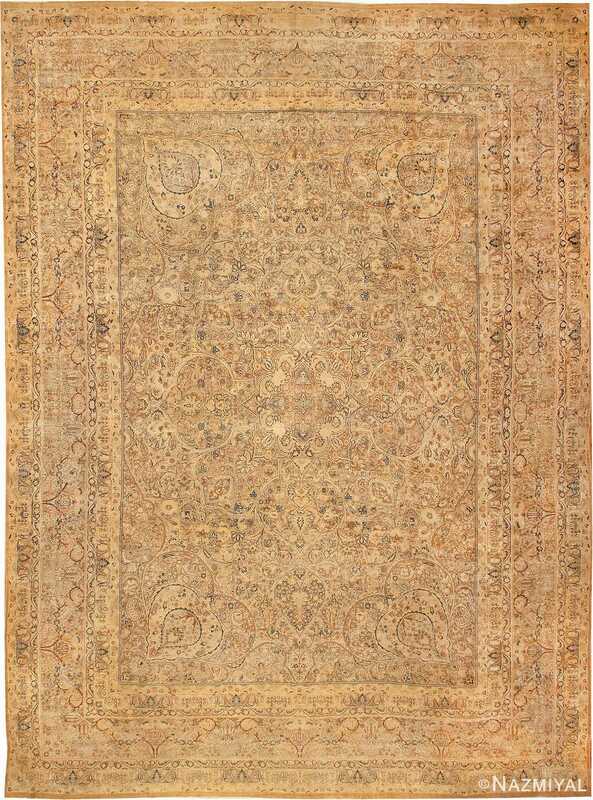 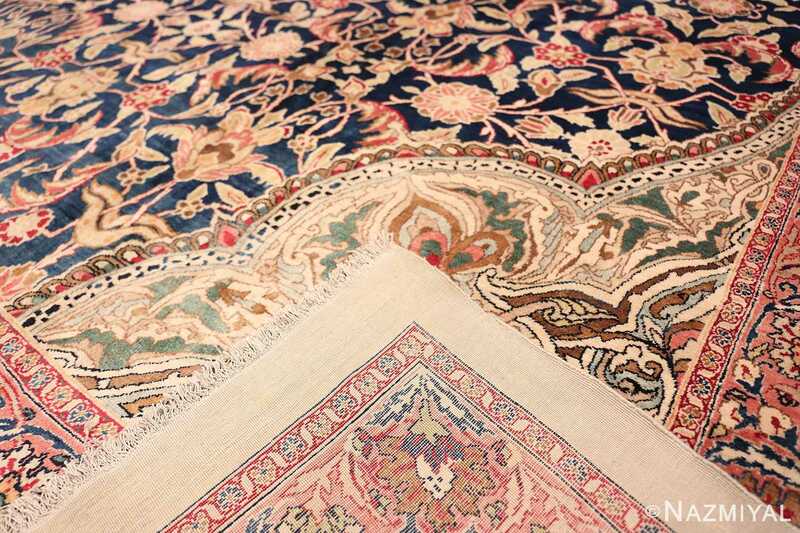 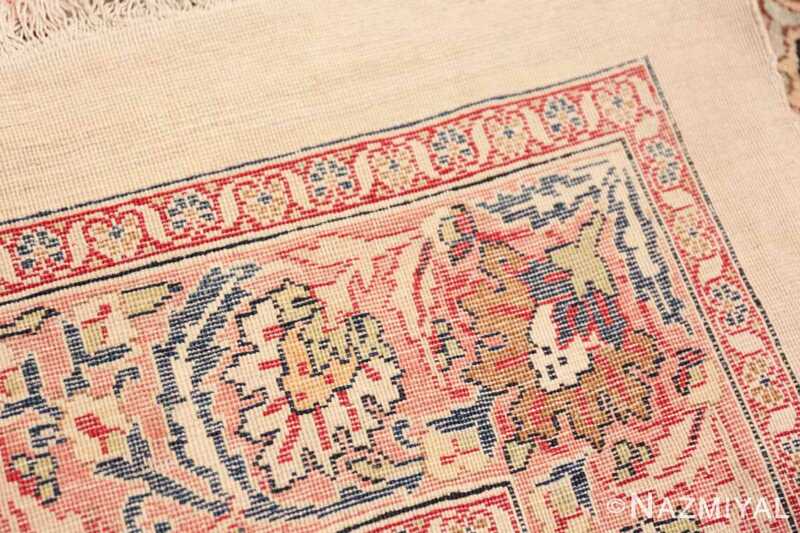 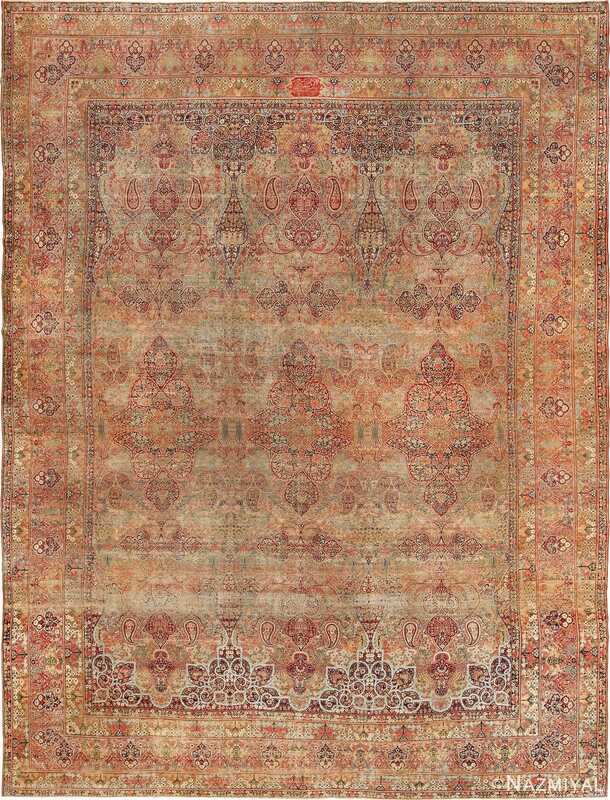 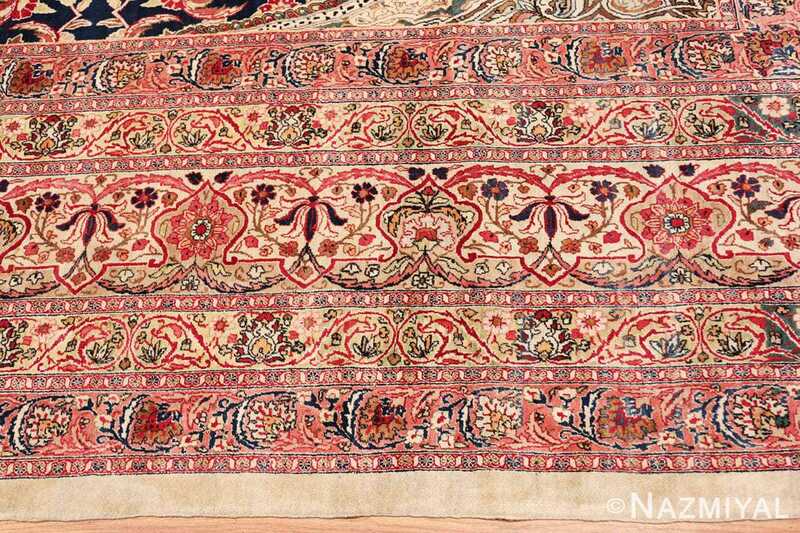 This antique Persian Kerman rug features several intricate borders, each surrounding the other, leading inward to the core of the antique Oriental rug. Each border features a different backdrop and houses a vast number of sprawling vines and dancing petals. 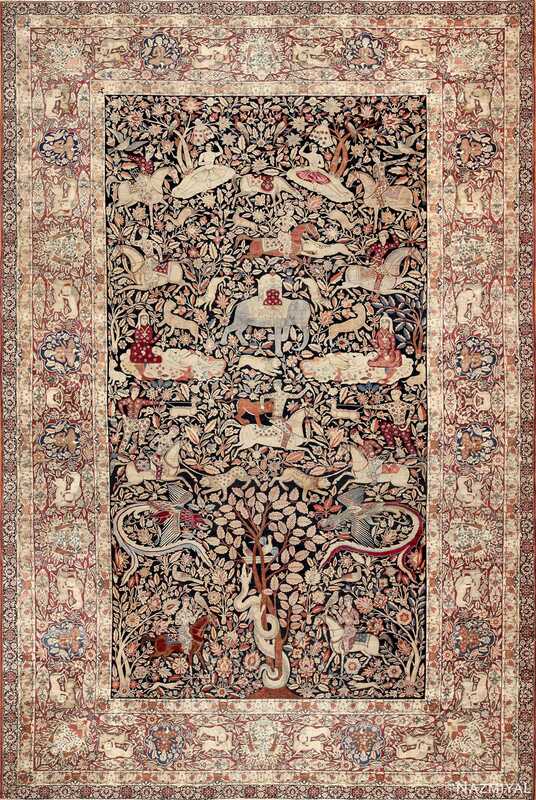 Bright reds, gentle yellows, elegant purples and dusky blues all comes together in their own unique way to play a part in this arboreal dance. Between each of the thicker borders are smaller and thinner borders, acting as the outlines to the beauty within. 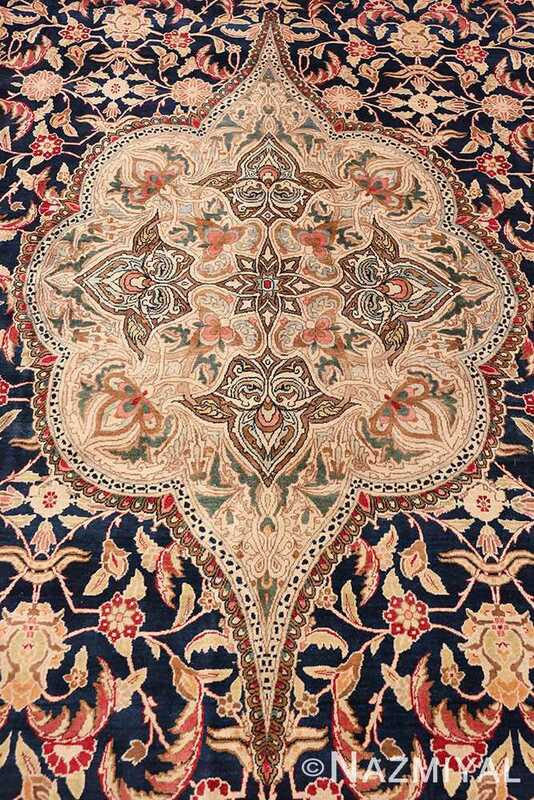 Beyond the outer frames is a rich black field, the background to the center of the rug, which houses a complicated collection of leaves and petals, themselves the background to the bright mandala in the middle of the antique carpet.